Oh how tight the margins in football can be at times! 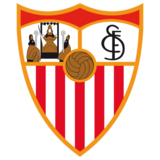 Falling just short of Champions League qualification the previous season has setback Sevilla significantly and threatens to derail the perennial European challengers. Losing out to Villarreal meant Europa League football last season for the Andalucians but unexpectedly the club fell at the first hurdle. There’s no shame in losing to Germans Hannover but failing to grasp the financial incentives which begin at the group stage proved to be the fatal loss. Consequently the exodus began. Zokora, Sanchez, Adriano, Capel and Dabo all left and decimated the squad. In the end the squad roughed out a forgettable season, one of which Sevilla aren’t used to, and limped home in 9th place. Once again players have left as the club tightens its wage budget. Martin Caceres has departed whilst Escude and Armenteros also leave and Frederic Kanoute bid an emotional farewell as he prepares for life in China with Beijing Guoan. It all seems like the end of an era for Sevilla. When the budget is set at €90million and the team fails to qualify for Europe for virtually two seasons then some drastic changes need to be implemented with a matter of urgency. And that is what we are seeing. Star players have left throughout the years and important squad members are being sold. The club are clinging onto Jesus Navas and Alvaro Negredo for dear life but it shouldn’t be a surprise if one at least exits. Sevilla aren’t in any real bother, they’re just entering a phase of rebuilding. Their hefty income ensures talented players adorn the strip and with Navas and Negredo, Europe will never be too far away. It’ll take a lot more time and failed seasons before we begin to see the Sevilla team crumble. Here is a prime example of the pressure in football nowadays if you fail to meet your targets. But of course it could have been far worse. Posting a loss would have been disastrous but instead in 2011 Sevilla were €400,000 in the green. Obviously the continual transfers made this figure possible but positively Sevilla are being managed sensibly. The club has posted a profit for nine consecutive seasons and, whilst this season might not be so pleasing to see, the prior figures could make up for the failure of the past two years. 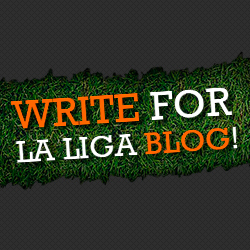 On this model Sevilla can fight their way back and force themselves into European contention. Just don’t expect it this season due to the upheaval around the club. Talented players do make up a great part of the Sevilla team but currently they have been subject to a topsy-turvy period in which managers have come and gone almost quarterly. Michel takes the reigns for the upcoming season and will aim for European qualification. Well, he has to. Or he’ll be gone too. Palop, Navarro, Spahic, Medel and Rakitic are all capable of firing Sevilla up the league and achieving what they believe they deserve. However after the disappointing and hard-to-watch season of last, a sense of perspective might have arrived in Southern Spain after years of overachieving.